On November 1, 2012 it was announced that Mondelēz Canada would be closing the Mr.Christie's plant at Lake Shore Boulevard West and Park Lawn. Not only would 550 people be out of work, but rumour had it that the plant would be torn down and replaced by condos. Not just a few condos - 27 condos would be built on the 27 acres of land. Residents in the area were adamantly against the condo development - understandably so. The proposed 27 condos would add approximately 25,000 new residents to the area. Such an influx of residents would be major stress on the aged infrastructure and limited transportation in the community. It wasn't too hard to see that this development would almost certainly become a condo ghetto in the not-too-distant future. Just over a year after the initial announcement, there's some good news. The Mr. Christie's land will not be used for condo development, but instead it will be redeveloped for the purpose of creating employment. Finally, there's a glimmer of hope amongst the all the condo bubble doom-and-gloom news. The City of Toronto's guiding principles for the Mr.Christie's plant include reuse of the existing structure/building, providing 1,500 new jobs and to create opportunities for the local labour market. 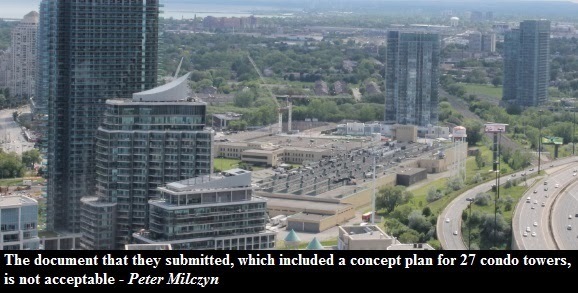 For the sake of the City of Toronto, let's hope we see more decisions that encourage employment opportunities and cut back on the overdevelopment of condos in the future. The full city report can be found here.